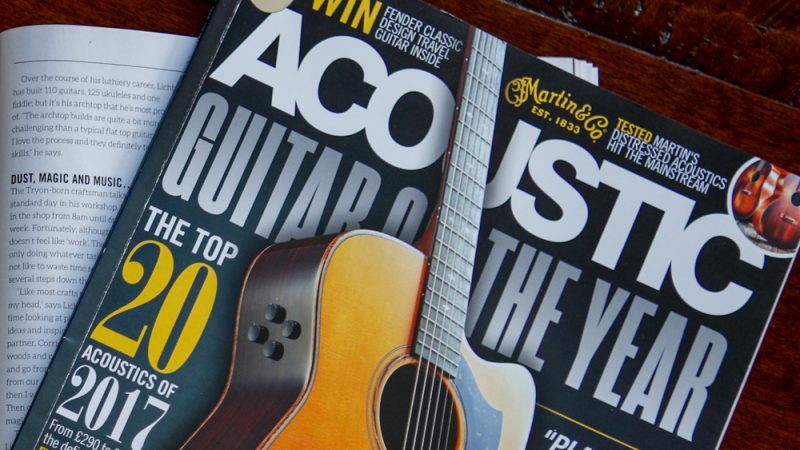 Acoustic is the UK’s only monthly acoustic publication and every issue is jam-packed. 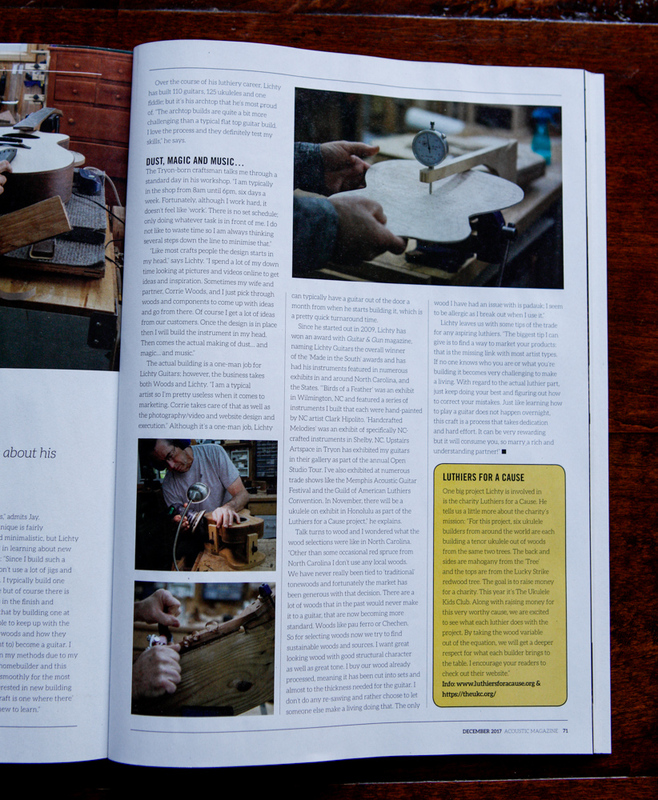 Of particular interest to us is the regular feature they do called “In the Workshop With …”. 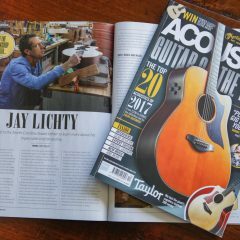 Over the years they have taken the readers into the shops of the some of the greats – Bill Collings, Linda Manzer and Grit Laskin to name a few. 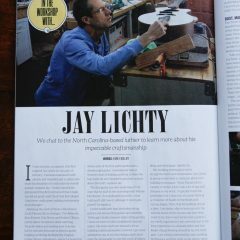 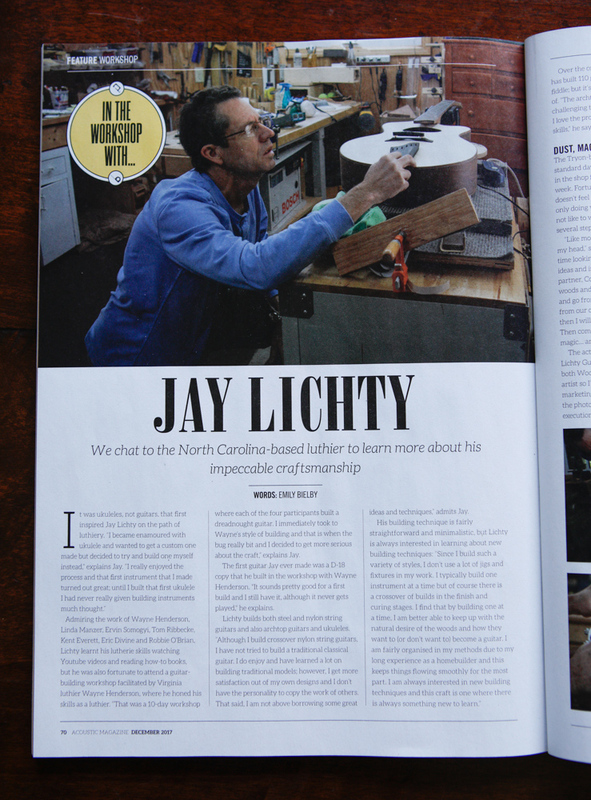 The latest workshop story, in the December 2017 issue, features our very own Jay Lichty. 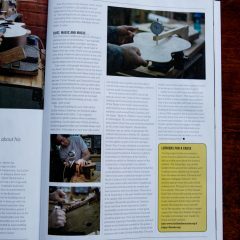 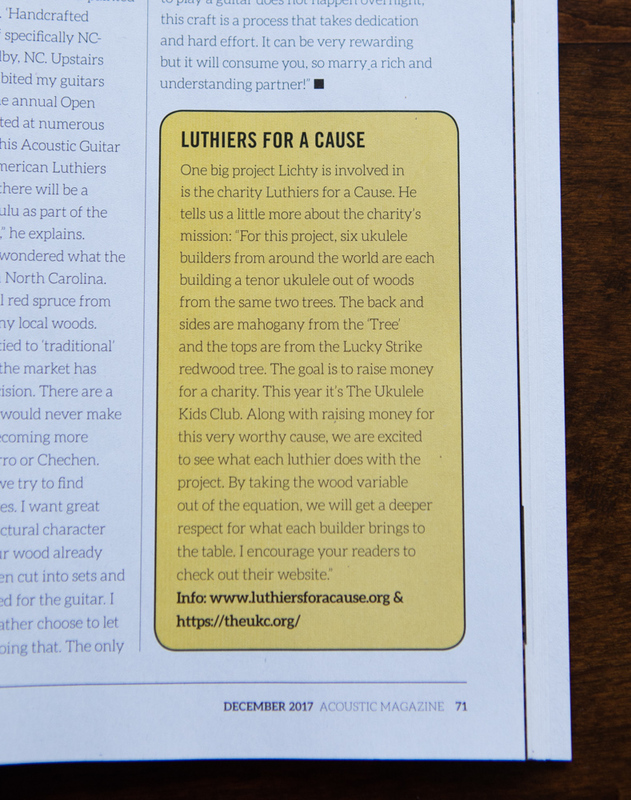 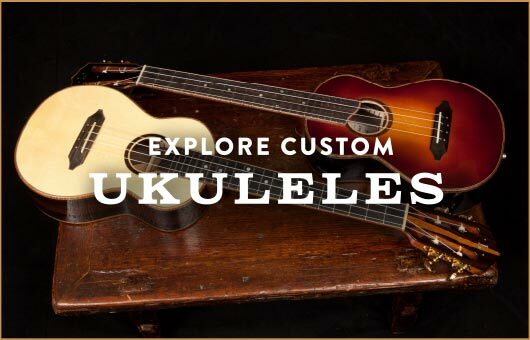 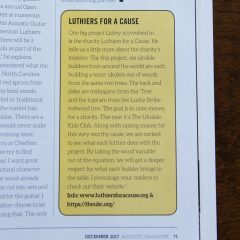 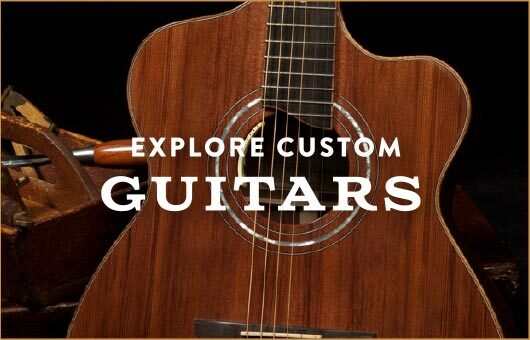 Too, we’re grateful that they gave a special shout out to Luthiers for a Cause. 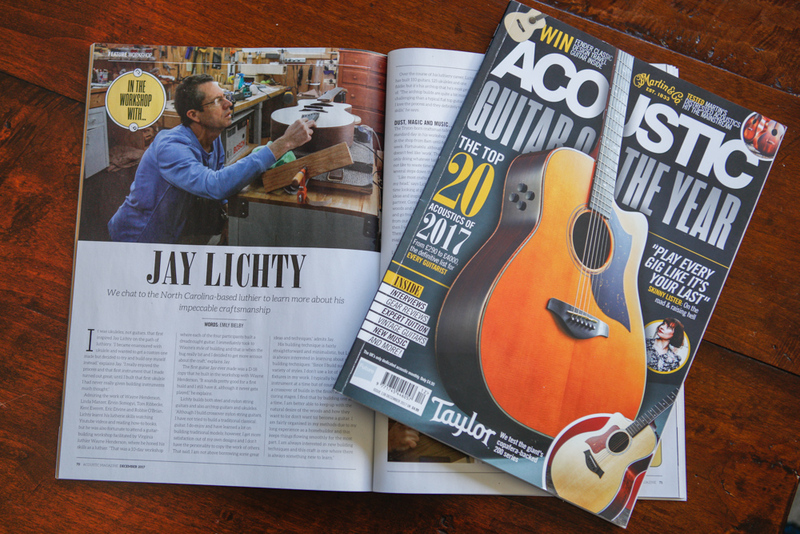 Visit Acoustic online to get your copy.